Designed specifically for mobile field professionals who need all-day comfort and durability, the lightweight and compact Honeywell PR3 and PR2 durable mobile receipt printers are the perfect fit for your agile workforce. 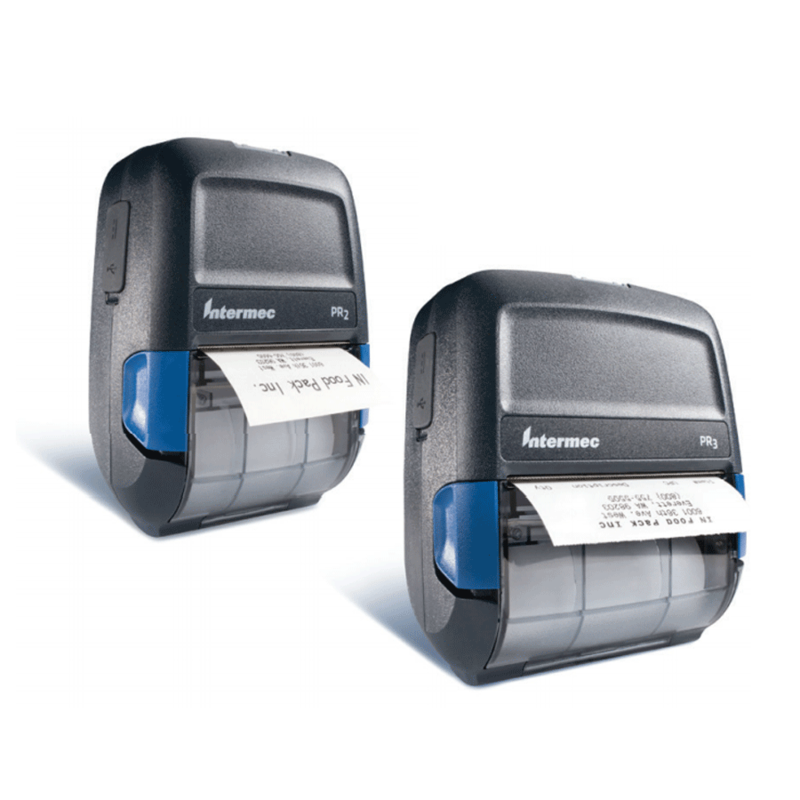 Available in three-inch wide (PR3) and two-inch wide (PR2) versions, these receipt printers deliver a competitive advantage with their speed and compactness making them ideal for on-the-go invoice printing and mobile point-of-sale (mPOS) applications. – maximize user comfort while ensuring the printer is always within arm’s reach. Despite being small and lightweight, this printer withstands drops to concrete from 1.2 m (4 ft) and 1.5 m (5 ft) with an optional protective case. Capture payment at the point of service with optional integrated PCI-compatible magnetic stripe reader and AES encryption. Simple to use, with a clamshell design enabling one-handed media replenishment and an intuitive icon interface for status indication. Fast time to first label, and excellent battery endurance for all-day mobile printing. Pairs easily with today’s mobile devices, with MFi certification for iOS devices and easy Bluetooth pairing through NFC technology. EAP Options: PEAP/MSCHAPv2, PEAP/ GTC, TTLS/MSCHAPv2, TTLS/PAP, LEAP, EAP-FAST. AAMVA, CA DVA, RAW Optional support for DES, TDES, and AES encryption with DUKPT key management. Drop Specification: 1.2 m (4 ft) drop to concrete per MIL STD 810G, 1.5 m (5 ft) multiple drops to concrete with optional environmental case. Smart Battery: Rechargeable, removable, 7.4V Li-Ion, 1620mAh. Includes integrated fuel gauge to monitor battery charge levels, and report impedance and list battery pack serial number for the battery in use.